Just days after the new year, the government proposed tariffs on newsprint coming from Canada. The North Pacific Paper Co. logged a complaint, stating the Canadian printers got too big a financial break to supply paper to U.S. outlets. Many in the newspaper industry worried what the tariffs might mean for business. Now, following the introduction of the tariff, the first newspaper casualties are happening. 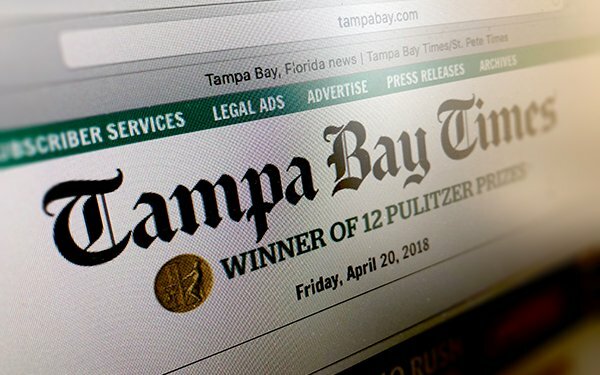 Last week, the Poynter Institute reported that the Tampa Bay Times has just issued a first round of layoffs as a result of the higher cost for paper. As the article notes, it seems almost ironic that in a world where digital has become king in publishing, an outlet can still be heavily impacted by the cost of paper. However, outside of The New York Times and Washington Post, smaller operations have had a harder time catching up. The Tampa Bay Times is one of the 10 largest papers in the country — and still relies on the revenue gained from circulation and print advertising to stay afloat. Though Tash noted that digital is important to the newspaper, its readership is still tied to its print edition, resulting in an urgency when it comes to print costs. The Tampa Bay Times counts 300,000 print subscribers, 200,000 of those subscribers to the daily paper. According to Tash, the digital numbers aren’t huge. Some of the bigger changes to accompany the layoffs include shrinking the daily free tabloid TBT to a weekly and making changes to the Sunday paper. Tash also believes more layoffs are on the horizon — also a direct result of the tariff. Facebook and Google are the ubiquitously looming villains of digital publishing, but one simple tariff reveals how quickly an entire industry can be impacted when its basic tools and supplies are hobbled.